On Tuesday, December 19, 2017 at 5:30 p.m., the Committee for Jerusalem will be holding a public rally in support of Jerusalem- Palestine and opposing the Trump administration’s recent declaration of considering Jerusalem as the “capital” of Israel and ordering work on relocating the US Embassy from Tel Aviv to Jerusalem. The Rally will be held at the Ford Community & Performing Arts Center located at 15801 Michigan Ave. in Dearborn, Michigan. The worldwide reaction to the announcement, except for Israel, was rejection and condemnation. The US announcement goes against the longstanding US position on Jerusalem that was consistent with international law and UN resolutions. The US has always advised the parties not to engage in activities that would provoke the other party and incite violence. Trump’s new position on Jerusalem violates the US advice. Jerusalem under the UN resolution dividing Palestine is corpus separatism. The UN resolution that created Israel gave Jerusalem an international character recognizing no sovereignty over it from any country in the world. It is important to note that despite all the misleading news on Jerusalem, East Jerusalem remains occupied and Israel has not annexed it. “When there is conflict, one can be a part of the problem or a part of the solution,” stated Imad Hamad, AHRC Executive Director. “The US always presented itself as an integral part of the solution. President Trump’s provocation on Jerusalem has made many countries in the world, regrettably, perceive the US as a big part of the problem,”  concluded Hamad. For more information on the Rally please call 313-999-4420 or 313-582-4888 or the AHRC Office at 313-790-8453. 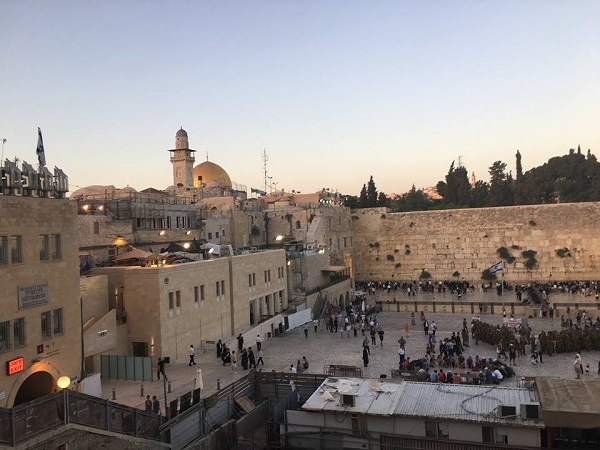 For more information on Jerusalem, please read an interview on Jerusalem with our advisory board member, Professor Ihsan Alkhatib.